We often hear about the importance of hydration as the warm temperatures set in or after prolonged physical activity, but this is one topic that shouldn’t be seasonal. Approximately 55% of children and adolescents are inadequately hydrated1 and our sense of thirst declines with age. Compared to young adults, when older adults are deprived of water for a period of time, they are less likely to replenish that water loss, making them more susceptible to dehydration2. The good news is that the foods and beverages we eat and drink are an easy fix to keeping us hydrated all year long! Hydration is critical to ensure our body is functioning how it should and also plays a role in our energy levels and fatigue. 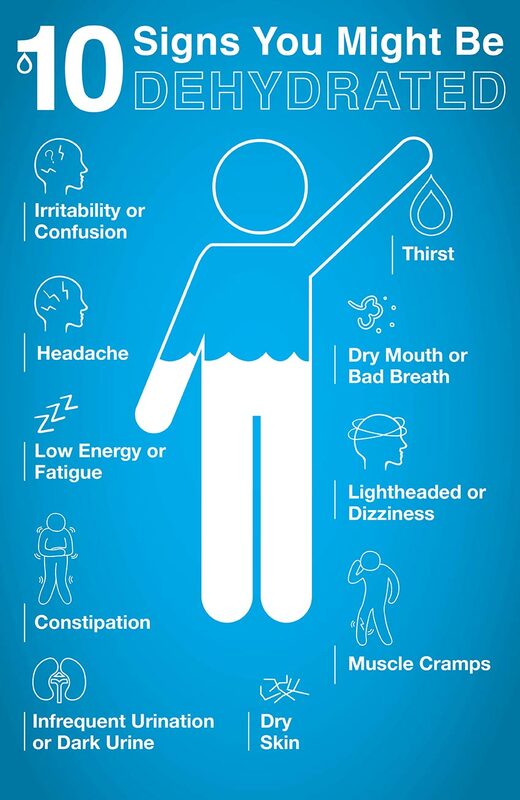 Not being adequately hydrated can impact our body in numerous ways2. Athletic Performance: Water helps to regulate our body temperature and sweating is the body’s way to stay cool by releasing heat through sweat. An athlete can lose anywhere from 6-10% of body weight through sweat loss, making rehydration post-workout critical. Cognitive Performance: Mild dehydration can lead to disruptions in our ability to think clearly and our mood. In older adults lack of hydration can be a factor in confusion. 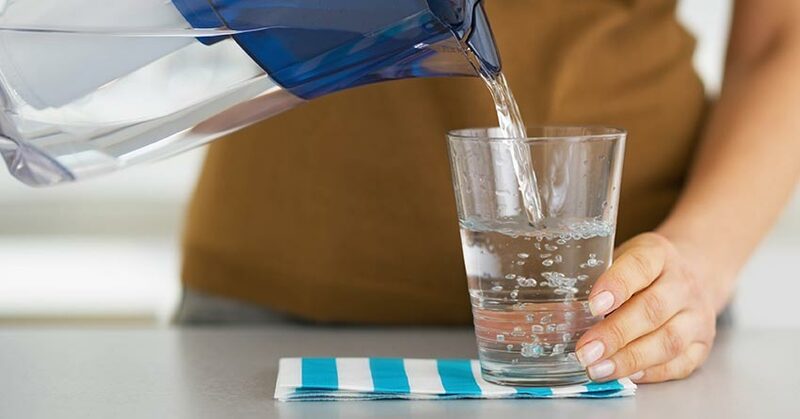 Kidneys: Adequate hydration ensures our kidneys, an important regulator of water balance, blood pressure and waste disposal, can filter waste from the blood to be excreted in the urine. Heart: Water balance in the body is tightly linked to our total blood volume, blood pressure, and heart rate, so any change in hydration status can impact these. Headaches: Water deprivation can lead to the development of headaches and may be a potential trigger for migraines. Skin: Water is often attributed to giving skin a youthful appearance through diminishing fine lines and wrinkles and giving it that moisturized look. While we may be hard pressed to find the science to back these claims, the skin does act as a barrier to help keep moisture in the body. Most of us have heard that we should aim for eight 8 oz. glasses of water per day (about eight cups of water) and the reality is that if we hit those goals we’d probably be doing a pretty good job at staying hydrated. However, an even better marker would be the color of your urine. Ideally, if you are adequately hydrated, then the color of your urine should be a very pale yellow. Since approximately 80% of our fluid intake comes from physically drinking water and other beverages, these would be your primary sources for hydration. This includes caffeinated beverages too, but they can also act as diuretics so you would need to consume even more water to ensure adequate hydration. Although no specific recommendation is set with regards to water alone, the fluid we take in per day from food and beverages should total approximately 11 cups per day for women and 16 cups for men3. High-moisture foods do contribute to overall hydration, but water itself remains the best way to keep our hydration status in check: it’s calorie free, preservative free, and contains no artificial sweeteners. Be Choosy: Pick beverages like water, milk or caffeine-free coffee or unsweetened tea (tried to avoid the sweeteners or creamers which can stack up the calories and pounds). Bring It With You: We don’t always have the luxury of a drive-through option. Fill a water bottle at the start of each day and no matter how busy the day gets you’ll always have it with you. Spice It Up: If plain water isn’t for you, try lemon, lime, berries, or cucumber or consider making these into ice cubes to keep your beverage cold and flavorful. Go Bubbly: Cutting back on soda can be tough, try sparkling water as an option to get the fizz without the calories. Make A Goal: Aim to finish a certain number of glasses of water before lunch or dinner or shoot to have a full glass at each meal. Eat Your Water: Don’t forget your foods count too! Get your water through high moisture foods like fruits and vegetables. Not a huge fan of drinking water, the foods you eat can help too! 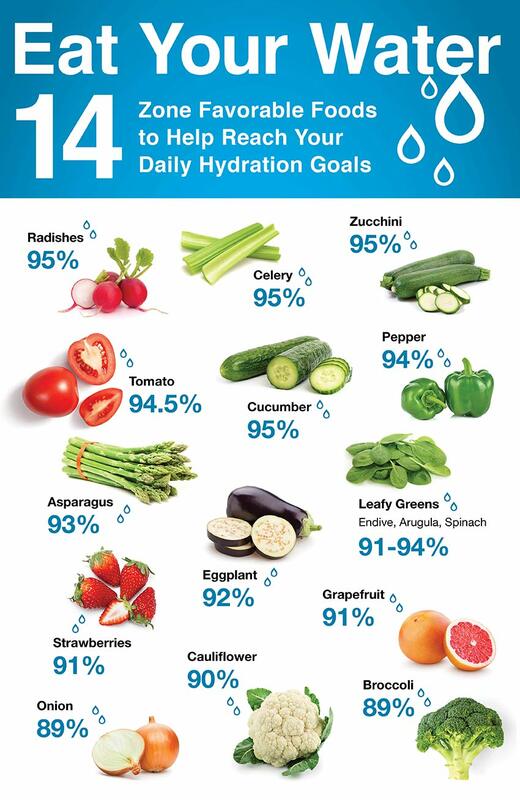 Here are 14 Zone Favorable fruits and vegetables that have a high water content to help you reach your goals4. Besides being good sources of water, these foods are ideally suited for the Zone Diet since they have a very low glycemic index as well as being rich in fermentable fibers and high in polyphenols.